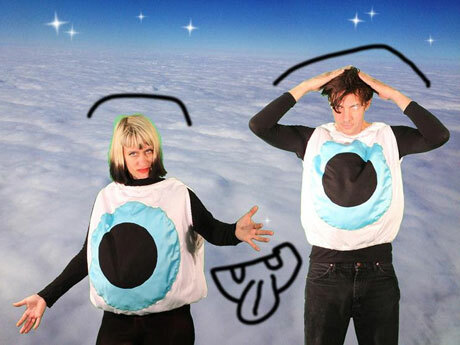 Though not much has been revealed behind the next platter from New Orleans oddities Quintron & Miss Pussycat, the duo will be taking their organ-heavy tracks and puppet show on the road this fall. A press release confirms that the trip will be in support of an as-yet-undetailed new LP set to be released sometime later this year. While the project delivered a live LP for Third Man in 2012, the next record will be the proper follow-up to Quintron's 2011 double album Sucre Du Sauvage. Despite the lack of recording details, the duo did deliver info on a forthcoming fall North American tour. The lengthy schedule has Quintron & Miss Pussycat playing a couple of shows in September, though the tour itself takes place between November and December. Along the way, they have shows booked with the Babes, Manatee and White Mystery, with Canadian shows currently booked in Toronto, Montreal and Ottawa. 11/07 Memphis, TN - Hi Tone ! Quintron and Miss Pussycat Cancel North American Tour Due to "Family Emergency"